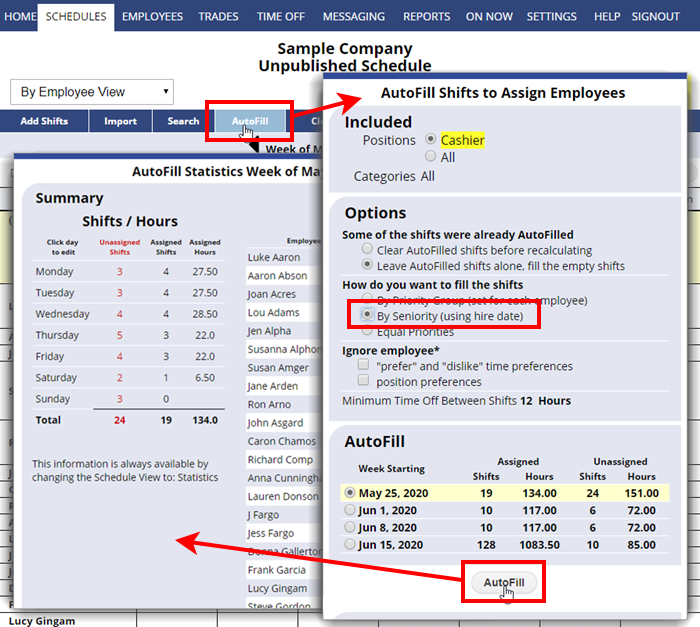 You can choose to AutoFill shift assignments based on seniority. This takes the most senior employee (oldest hire date) and assigns them according to their availability and work time preferences and attempts to give them up to their maximum hours per week. It then takes the next senior employee and fills in the empty shifts giving the next employee his most preferred schedule, etc. and continues for each employee. Using this method results in your most senior employees getting their most preferred schedule (based on the work time preferences they have entered) and will ensure your most senior employees get their max hours per week. Note that entering a hire date in the future will NOT prevent the employee from being assigned to a shift before that date. 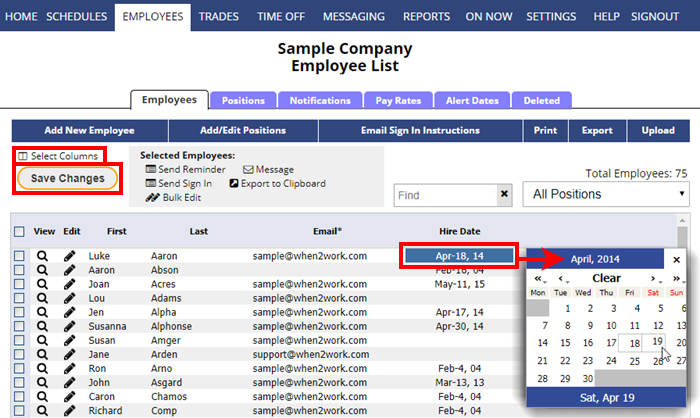 Note that the employee hire date can be added when you add an employee or at any time when you edit an employee. You can click EMPLOYEES in the top menu, then click the “Select Columns” link, and view and edit the hire dates directly in the employee grid. Then click the Save button to save all.